Vibrant flowers add cheerful color to our salad plate. 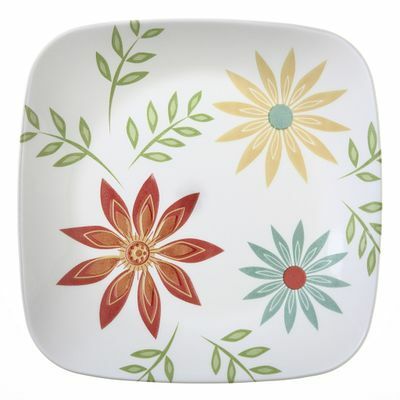 Colorful flowers and leaves set a happy tone at every meal. 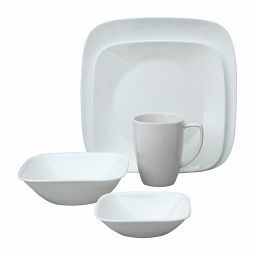 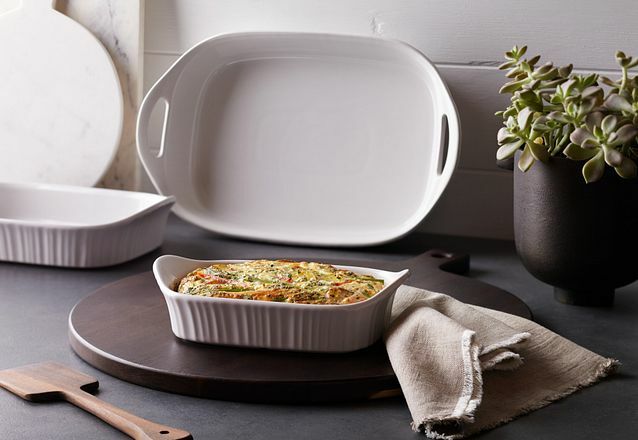 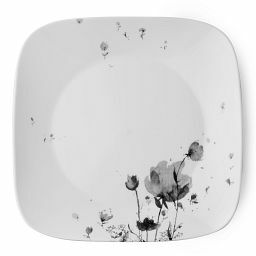 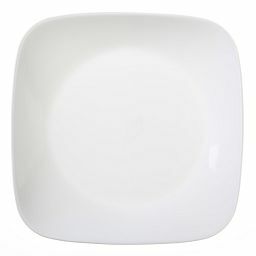 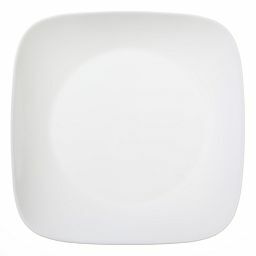 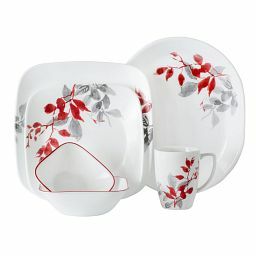 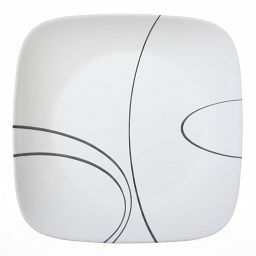 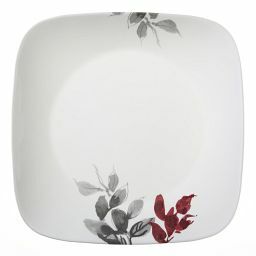 Sketched in a casual, modern style, they complement our salad plate’s smartly squared lines.